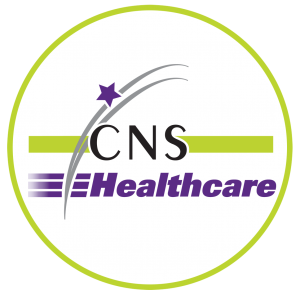 CNS Healthcare’s Targeted Case Management Program provides services to adults in Michigan who are eligible for public mental health services. CNS Healthcare Case Managers link consumers to community resources, including employment, housing, physical healthcare and monitor their progress. Case managers also assist consumers, when they apply for state and federal programs. The first step starts with a Person Centered Plan. This plan addresses a person’s hopes and dreams and helps to develop personal goals for the duration of treatment. The more we learn about trauma, the more we understand its effects. CNS Healthcare is committed to ensuring consumers do not experience triggering or traumatic events while receiving services. Our office and clubhouse environments are designed to be safe and welcoming, and we regularly provide training and best practices, so our staff will continue to embrace this culture. Additionally, our internal Trauma Informed Workgroup is constantly monitoring and evaluating organizational practices to create a secure and comfortable experience for our consumers. CNS Healthcare provides Assertive Community Treatment (ACT) and Integrated Dual Disorder Treatment (IDDT) services. These are evidenced-based programs that provide intensive community treatment, as well as, the development and coordination of natural supports for persons with serious and persistent mental illness, and/or substance use, who require a multi-disciplinary team approach and frequent community contacts to achieve movement towards recovery and an improved quality of life. IDDT integrates mental health and substance use services to the co-occurring consumer by the same clinicians at the same facility. Emphasis is on trust, understanding, and individualized recovery learning; it is characterized by individualized pace and a long term perspective. The teams provides basic services and supports essential to improving the person’s ability to function in community settings, including assistance with accessing basic needs through available community resources such as food, housing, transportation and medical care. Supports are given to encourage individuals to function in social, educational and vocational settings. Crisis services are available 24/7. Multi-disciplinary team: Supervisory, RN, peer support specialist, case manager and psychiatrist.